I’m not real sure how Nehemiah made it. Compelled by the Spirit of God he gained permission from the king to go to Jerusalem in order to rebuild the walls around that city. From the moment he finished giving his vision speech until the last gate was hung he faced opposition at every turn. Including when he was putting the finishing touches on the job he had come to do. For me it is more irritating to receive some sort of opposition as you are about to finish a task or see a vision come to completion. 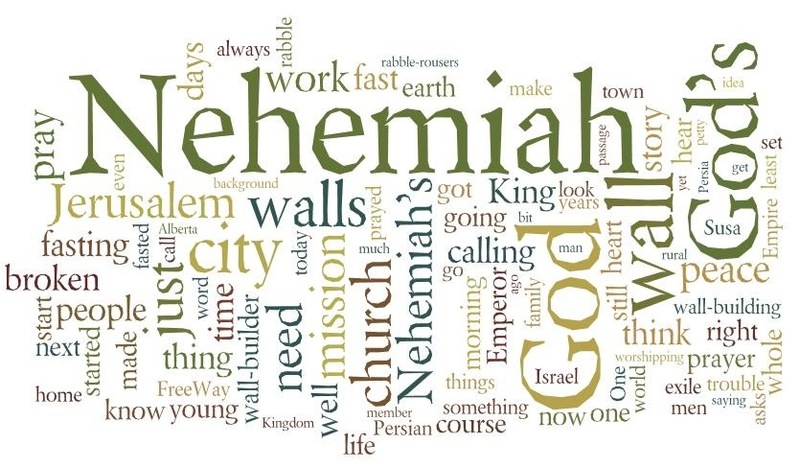 I’m not real sure how Nehemiah made it especially in those final hours of construction. But he did and it was all because of the power of God. And l’m called to be the one to build His church as he prescribes. There are some weeks I do a good job and there are others I don’t. But I must stick with each visionary step he lays before me knowing it will never be smooth sailing. For there will always be situations that arise that must be handled. Situations that are a part of the project and others that are not. My prayer is that God would allow me to handle each situation with the skill and wisdom Nehemiah used handle his. It is also my prayer that God would “create in me a clean heart that I might not sin against Him”. I definitely do not need to be battling a personal moral issue while shepherding His flock. There is a connection between how we handle public issues and our personal lives. To think one does not effect the other is just not true. In fact I would say that they are one in the same. I’m not real sure how Nehemiah made it, but I’m glad he did. His life here recently has served as a source of encouragement for me when times are a bit sketchy and I feel like snapping would be easier than relying on Jesus.